Home EDUCATION EXCLUSIVE NEWS MKU the highest scorer in the just concluded General Election. MKU the highest scorer in the just concluded General Election. 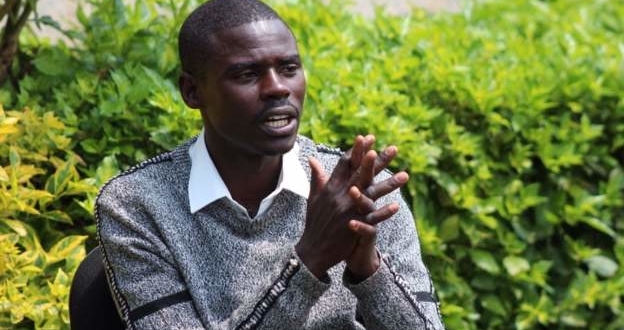 23 year old John Paul Mwirigi, who is pursuing a degree in education at Mount Kenya University, won the Igembe South Parliamentary seat as an independent candidate. Mwirigi might be the youngest legislator in the August House, which will see Meru County retain the crown of electing youthful leaders even after Buuri MP Kinoti Gatobu's exit from active politics. Mount Kenya University is taking pride to have produced the highest number of elected leaders in the just concluded general elections among the Kenyan universities. Murang’a Women Rep. Sabina Wanjiru Chege, Kenya’s youngest MP 23-year-old Igembe South MP John Paul Mwirigi, Starehe MP Charles Njagua Kanyi (Jaguar), John Waluke (Sirisia), David Gikaria (Nakuru Town East), Simon King’ara (Ruiru), Charity Kathambi Chepkwony (Njoro) are among 37 elected National and County Assembly leaders who have schooled at the university. While congratulating their students and alumni for this great achievement, the university management thanked wananchi across the country for having faith in the leadership abilities of its students. They appealed to the new leaders to practice ethical, development-focused leadership in a view to catapulting the nation to greater heights of prosperity. In the previous general election (2013), the institution’s alumni managed to capture quite a number of seat. It produced Uasin Gishu Senator Isaac Melly, MPs Kipyegon Ng’eno (Emurua Dikirr), David Gikaria (Nakuru Town East) and Sabina Chege (Murang’a Women Rep.). Others included Mohammed Shidiye (Lagdera), Mark Lomunokol (Kacheriba), Elisha Busienei (Turbo), Peter Sugut (MCA Megun Ward) and Wycliffe Ombajo Masini (MCA Mungoma Ward). The following is the full list of MKU students and alumni elected as Governors, MPs and MCAs in the August 8 2017 general election…..
Members of County Assemblies (MCAs).